Egazini. Memorial to the slain warriors who died on this battlefield in the battle of Grahamstown in 1819. Grahamstown, Eastern Cape. 2012. The memorial to the Cattle Killing and Great Famine of the Hundred Year War. This memorial, which lies in the mass burial site and town cemetary is a sad indictment of our attitude to memory and remembering. King Williamstown. Eastern Cape. 2012. 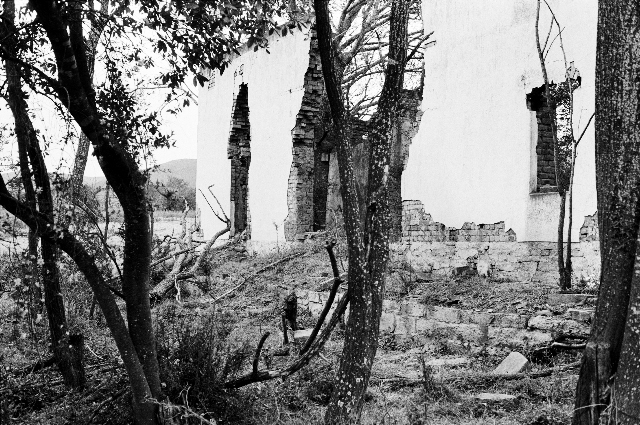 The ruins of the historic Prinsloo farmstead in Somerset East. The Prinsloo's of Somerset East are notoriously accredited with having been the trigger for the confrontation which is known as the one hundred year war of resistance, or the 'Frontier' war. Eastern Cape. 2012. Looking out towards Grahamstown. A descendent of the warrior chiefs who led five of the nine wars in the hundred year war of resisitance to the Afrikaner and British settlers. KwaNdlambe Village, Peddie. Eastern Cape. 2012. 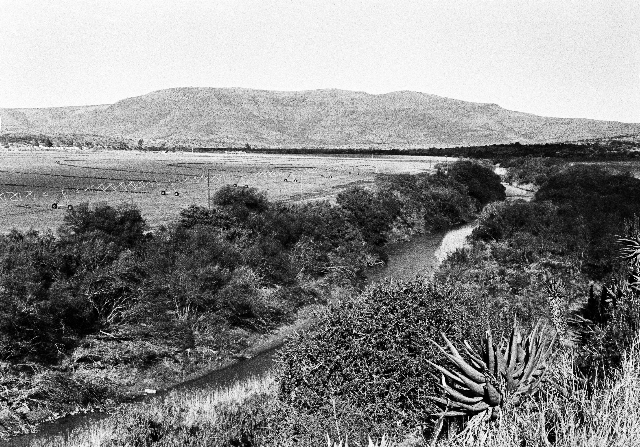 The Inxuba River (or Great Fish River). In the region of Somerset East. 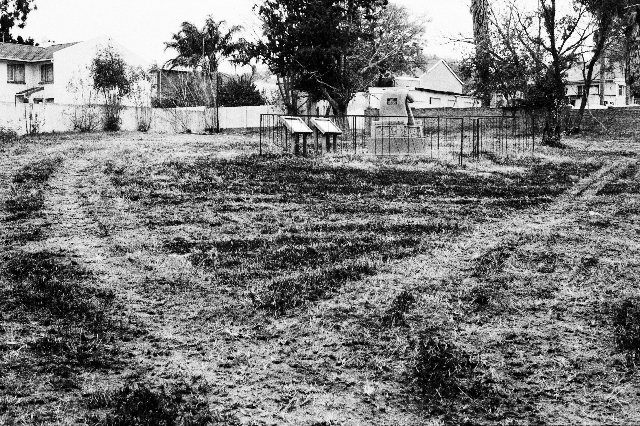 It was the fertile land beyond the Suurveld which lured settlers and caused the confrontation with the Xhosa which resulted in the Hundred Year War of resistance. 2012. I am committed through my photographs, to contributing to societal change that will leave a positive legacy for the children of Africa. Born in 1957 in Nongoma, KwaZulu, and raised in Hluhluwe, Mangete and Baynesfield. 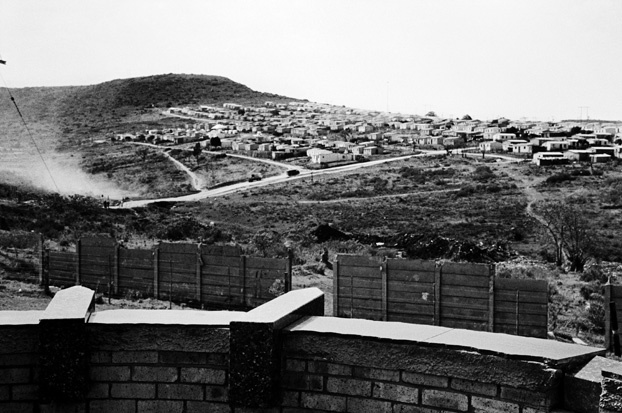 I began photography in Durban in the early eighties, my initial impetus being to document the realities of apartheid that I thought were being ignored by the mainstream media. Laatikkomo’s interview with Cedric Nunn, September 16th, 2013. CN: Photography was for me in my youth a means of recording happy moments in life, such as parties, weddings and happy gatherings. I held my first SLR with the knowledge of it as an instrument of serious image taking/making at the age of twenty four. Your initial intent in photography was to disclose the South Africa ignored by the media in the 80’s. What is your current driving force in taking photographs? CN: Still to reveal what is ignored and marginalised but also to explore and reveal the construction of our social world, and expose its inadequacies and flaws of which in our country there are many. Your work has focused on documenting social change. Has this focus inspired you to have a specific message that you would like to communicate through your images? CN: Examining social change, and contributing to it, has allowed for the space for deep introspection of both the actual social realities and what one would hope for. The economic model which we employ is hopelessly inadequate to provide for the needs of the majority of people, so there is widespread unemployment, poverty and hunger, and hence a lot of frustration. I would like to communicate the fact that most people simply get on with their lives despite the system they live in. When looking through the different series shown on your website, it is difficult for me to place an exact year, or even decade on when the photographs were take, this might be partially due to the fact that you (often) use black and white photography. Is timelessness a quality you strive for? CN: I don’t particularly strive for timelessness, though I do think that what often gives an image its strength is a sense of being ‘classic’, as in a good song or tune which has a quality which supercedes its vintage. 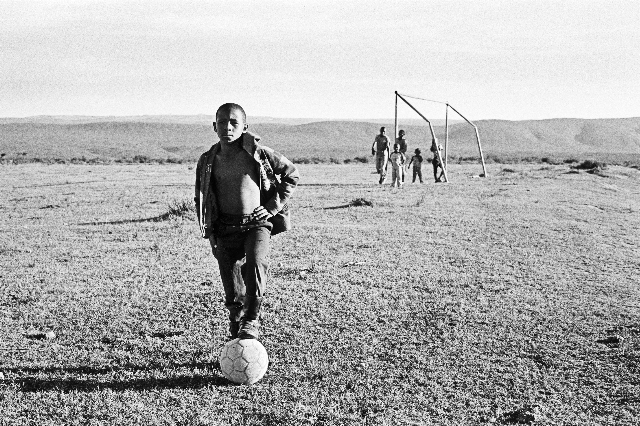 You have documented daily life in South Africa for the past 30-some years. What aspects of current daily life in South Africa would be the most important to reveal to future generations? CN: South Africa has great challenges, such as food security and our dependence or addiction to GMO’s for instance, as well as fossil fueled agriculture and chemicals which poison our soil. The cruelty of the economic system in which not a single cow dies of hunger but children and people live and die with hunger as a reality in their lives. The ever widening wealth gap and greed. This system needs to change urgently and people need to become conscious of how the system which they are implicated in is the cause of all this destruction and suffering. I just read an article about the Hewitt family who moved to Mamelodi (Pretoria) for one month this past August to see what it was like for the people who live in the townships. What are your reactions to this family’s project? Is this a way to bring about change? CN: This sort of adventure is tried every so often, and as the couple said, was mostly good for growing their own empathy, which can only be a good thing. However, townships are ghettoes, and have no place in any healthy society. And any amount of living in them will not actually change them, only a radical change of our society and importantly our economy can do so. For instance, South Africa also has an addiction to cheap labour (it would be interesting to see how much the Hewitts pay their household help) an average miner earns around an eighth of what an Australian miner does, and so it goes for many other menial jobs. I would hazard a guess that the greater majority of people who live in the township the Hewitts sojourned in, is in the region of less than ZAR2,000. This is way below the minimum and definitely spells poverty, and along with it all the social ills these sad places generate. Of course, peoples resilience is astounding, and they very often find ways of humanising these ghettoes. What is really needed to bring about change, is an attitude that every human being deserves to live with dignity, and we need to re-design our society in such a way that that goal is possible. CN: I presume the work I’m submitting for the project? ‘Historical memory against the desert of organised forgetting’. Thank you so much Cedric!